– The night Prophet Mohammad (s.a.a.w.s.) was conceived by his parents, all the idols of Mecca were thrown down on the ground. Angels cast the throne of Iblis (Satan) into the sea and Satan was tormented for forty days. (a) The Palace of Qisra (King of Persia) trembled and its fourteen towers fell down. (b) The flames of the fire-worshippers, the Majus (Zoroastrians) went out, though that fire had been burning for more than a thousand years, never extinguished. – Prophet Muhammad’s birth corresponds with the Year of the Elephant, which is named after the failed destruction of Mecca that year by the Aksumite King Abraha who had in his army many elephants. – When Prophet Muhammad (s.a.a.w.s.) was either nine or twelve years old while accompanying a Meccans caravan to Syria, he met a Christian monk or hermit named Bahira who foretold Muhammad (s.a.a.w.s.) that he was going to be a prophet of God. Another great miracle is Israa & Miraj which is Prophet Mohammad’s journey overnight from Mecca to Jerusalem and then to Heaven. He met with all the previous prophets, including Jesus & Moses, and he had the honor of being chosen as the leader of a prayer that was attended by all prophets. The unbelievers asked Prophet Mohammad (s.a.a.w.s) for physical miracle, so he split the moon, by the will of God, into two haves by a gesture of his index finger. One half of the moon appeared behind a mountain and the other one in front of it. A Jewish woman invited him to eat a meal and put poison in his food. He ate and felt poison and told her that she could not with her poison kill him. Indeed, he survived about 13 years after that incident. After he fled Mecca, his enemies went after him. So, he, and his closest companion Abu Bakr, hid in a cave. He enemies reached the opening of the cave, but the enemies did not enter the cave because they noticed a spider’s web covering the opening of the cave, so they thought that it was impossible for Mohammad to have entered that cave. This miracle is mentioned in the Quran. My father died in debt. So I came to the Prophet and said, “My father left unpaid debts, and I have nothing (to pay back the debt), except the yield of his Date Palm Trees; and their yield for many years will not cover his debt. So please come with me (to meet the creditors), so that the creditors may not misbehave with me.” The Prophet went around one of the heaps of dates and invoked (Allah’s) blessings, and then did the same with another heap and sat on it and said, “Weigh (the dates).” He (Prophet Mohammad) paid them (the debtors) what they were entitled to and what remained was as much as had been paid to them. Once we were with Allah’s Messenger (Prophet Mohammad) on a journey, and we ran short of water. He said, “Bring the water remaining with you.” The people brought a container which had little water left. He placed his hand in it and said, “Come to the blessed water, and the Blessing is from Allah.” I saw the water flowing from among the fingers of Allah’s Messenger, and no doubt, we heard the meal glorifying Allah, when it was being eaten (by him). We were one-thousand-and-four-hundred (1400) persons on the day of Al-Hudaibiya (Treaty). (At) Al-Hudaibiya, (there) was a well. We drew out its water, not leaving even a single drop. The Prophet sat at the edge of the well and asked for some water, with which he rinsed his mouth. Then he threw it out into the well. We stayed for a short while. Then, we drew water from the well and quenched our thirst. Even our riding animals drank water to their satisfaction. Then the Prophet proceeded on and the people complained to him of thirst. Thereupon, he (the Prophet) got down and called a person (the narrator ‘Auf added that Abu Raja’ had named him but he forgot his name) and ‘Ali, and ordered them to go and bring water. They brought her to the Prophet and narrated the whole story. He said, “Help her to dismount.” The Prophet asked for a pot, then he opened the mouths of the water bags and poured some water into the pot. Then he closed the big openings of the bags and opened the small ones and the people were called upon to drink and water their animals. So they all watered their animals and they (too) all quenched their thirst and also gave water to others and last of all, the Prophet gave a pot full of water to the person who was Junub and told him to pour it over his body. The woman was standing and watching all what they were doing with her water. By Allah, when her water bags were returned, they seemed to be more full (of water) than they had been before (Miracle of Allah’s Messenger). Afterwards the Muslims used to attack the pagans around her abode, but never touched her village. One day she said to her people, “I think that these people leave you purposely. Have you got any inclination to Islam?” They obeyed her and all of them embraced Islam. A man came to the Prophet on a Friday, while he (the Prophet) was delivering a sermon in Medina, and said, “There is lack of rain, so please invoke your Lord to bless us with rain.” The Prophet looked at the sky when no cloud could be detected. Then, he invoked Allah for rain. Clouds started gathering together and it rained till the Medina valleys started flowing with water. It continued raining till the next Friday. Then, that man (or some other man) stood up while the Prophet was delivering the Friday sermon, and said, “We are drowned; Please invoke your Lord to withhold it (rain) from us.” The Prophet smiled and said twice or thrice, “O Allah! Please let it rain around us and not upon us.” The clouds started dispersing over Medina to the right and to the left, and it rained around Medina and not upon Medina. Allah showed them (the people) the miracle of His Prophet and His response to his invocation. Once, on a dark night, two of the companions of the Prophet departed (after a meeting with the prophet) and were led by two lights like lamps (from the sky) lighting the road in front of them. And, when they parted (from each other), each of them was accompanied by one of these lights till he reached his house. The Prophet used to deliver his sermons while standing beside (or leaning on) a trunk of a Date Palm tree. When he had the pulpit made, he used it (the pulpit) instead (of the Date Palm tree). The trunk (of the tree) started crying/weeping (grieving out of love for the prophet) and the Prophet approached it, rubbing his hand over it (to sooth it and stop its crying/weeping). Comment: This story indicates that people actually heard the truck of the tree crying/weeping. Muslims consider the Quran to be the greatest miracle of prophet Mohammad, even though, the Quran is authored by Allah, not prophet Mohammad. The Qur’an is miraculous in a number of aspects: (a) its linguistic perfection and inimitability, (b) its validation by recent historical, archaeological, and scientific discoveries, (c) its prophecies and so on, and (d) unlike the miracles of other prophets before him, the miracle of the Qur’an is eternal. The Quran (can also be spelled as Qur’an or Koran) is the holy scripture of Muslims. The Quran states that the name of God’s religion is Islam and it refers to its followers as Muslims. The Quran started to be revealed by God to Prophet Mohammad through arch-angel Gabriel, when he was 40 years old, around year 610 AD. It was revealed gradually, few verses at a time, over a period of about 23 years. The Quran is a very unique book that differs from the Bible in many ways. Unlike the Bible which supposedly contains the sayings of Jesus and other writings which Christians believe were inspired by God, the Quran is the “literal” word of God. We mean that the words in the Quran are the exact words of God. Therefore, the author of the Quran is God himself. Furthermore, also unlike the Bible, the Quran does not contain the sayings of Prophet Mohammad, nor does it contain an account of Prophet Mohammad’s life. God in the Quran promises clearly to protect the Quran from corruption. Indeed, God has protected the Quran. The Quran has remained the same. All the verses that were revealed to prophet Mohammad by angel Gabriel are included in the Quran that is available today. 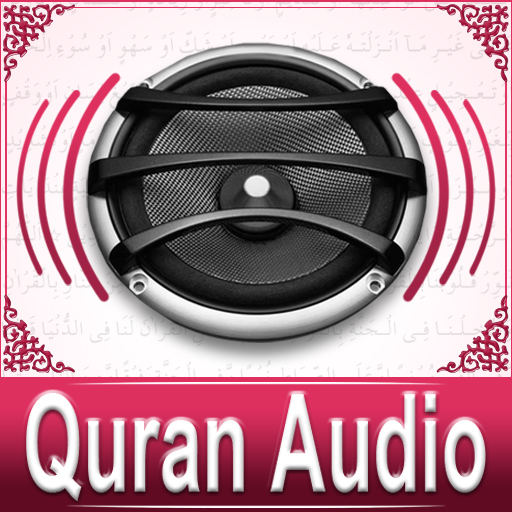 The Quran was revealed in Arabic language and Muslims consider only the Arabic Quran to be the Word of God and any translation of the Quran to other languages are mere translations of the Quran to people who do not understand Arabic language because translations are authored by ordinary human beings whereas the Arabic Quran is authored by God. Therefore, those translations are not considered by Muslim as a Word of God or holy scriptures. The 5 daily prayers of Muslims are in Arabic (most of what is said by Muslims during a prayer consist of reciting verses from the Quran). However, Muslims are not required to be able to speak Arabic, other than learning to utter few sentences in Arabic that are part of regular prayers. The Quran states that the Quran, in by itself, is the most important miracle that Prophet Mohammad has brought to humanity. Since Prophet Mohammad was intended to be the last prophet and the Quran was the last message, God decided to give people a unique miracle that can be examined and experienced by not only people who lived at the time of the prophet, but for the hundreds of years to come. So, it was natural for God to choose Quran to be such a miracle. That is why the Arabic Quran is a unique miracle. The only book in the world authored by God himself, word by word, and that is still available today in its original form. People throughout the Ages have wondered whether they can see God or something that can be attributed directly to God. The Quran is the answer. It is available today for all humans to experience how God expresses himself in words. The Quran is a book of knowledge with a uniquely captivating style, in which every verse is a sign from God. Each word used in the Arabic Quran was uniquely chosen by God for a purpose. You can not add or subtract a word to/from the Quran, without the corruption becoming noticeable. Scholars have discovered some hidden logic structures (codes) in the Quran that prove its authenticity and help in protecting its integrity from corruption. The Quran contains lots of scientific knowledge that have only been known recently which were totally unknown and could not have been discovered at the time of prophet Mohammad. For more information about how modern science authenticates the validity of the divine source of the Quran.